Toyota has appointed Chris Hayes as its UK marketing director, two years after scrapping the role as part of a restructure. 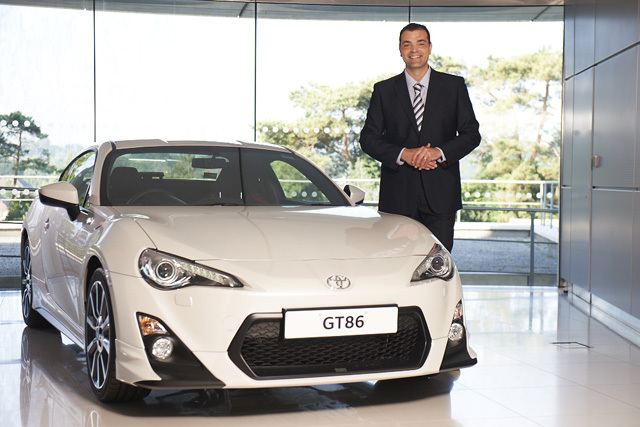 The Japanese marque axed the position of UK marketing director in 2011, following the departure of John Thomson to a new assignment at Toyota’s global headquarters, claiming the move would allow it to "increase the speed of decision-making". Marketing was subsequently overseen by then-commercial director Matt Harrison, who has recently been promoted to president and managing director of Toyota GB. Hayes steps up from his previous role as the brand’s general manager of vehicle marketing, which he had occupied since May 2011. He joined Toyota in 2003 and has held several positions, including a stint as marketing manager for the brand’s Global Knowledge Centre in California. Hayes said: "The Toyota brand is at an exciting point and I’m thrilled to be leading the UK team as we seek to grow our share of the UK market. "I believe we have a range of cars that cater to a broad spectrum of consumer types and our dealer network gives some of the best service in the industry. This is central to our continuing success." Toyota’s most recent UK campaign promoted its Auris Hybrid model with a vision of a smoke-filled dystopia.